I know I'm long overdue for a food post, so I'm glad to get back in the appetizing swing of things with Down House. 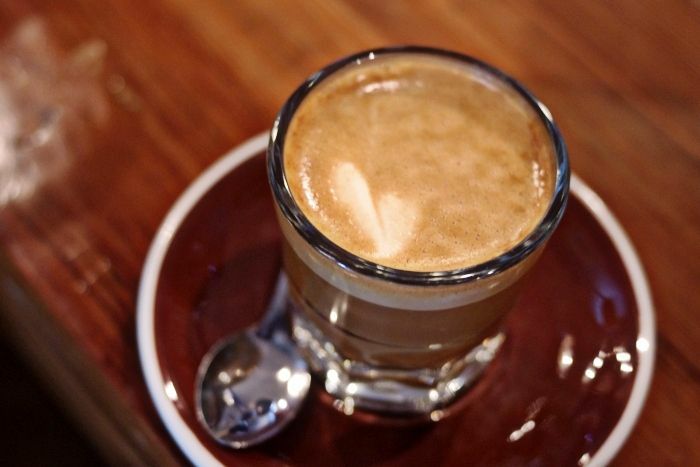 The atmosphere feels like a larger version of your favorite, local coffee house with big leather sofas and eclectic decor. I have more than once attempted to stop in, but somehow circumstances were never in my favor. I have to say this last time turned out to be a success because not only did I get a chance to catch up with a friend who just went through a truly amazing recovery from a serious injury, but I also enjoyed my very first chicken and waffles. I never would have thought fried chicken went with the doughy breakfast staple but might I say they were an absolutely delicious combo! The chicken was cooked just right with the exact crunch I was hoping for and glazed in a cherry-pepper honey. I know, right? 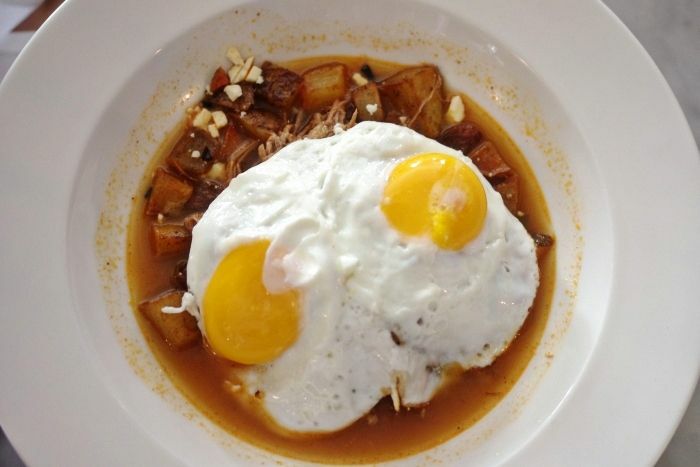 I didn't try my friend's pork hash, but it looked equally delectable and topped with two bright sunny-side up eggs. The restaurant was pretty packed when we arrived, but we both enjoyed a coffee drink while we waited at the bar for a table. They have a nice selection of beer on tap and also serve wine and old-fashioned cocktails. Doesn't a drink named the Hot Buttered Bay just begs to be drunk? Now that I'm on a chicken & waffles kick, I'll have to finally get my foot in the door at Breakfast Klub, which is known for the dish. The line usually goes around the block, but I've heard it's entirely worth the wait! YES!! To the breakfast club! It really is so amazing. Try the catfish, I know it sounds questionable, but ut's really good. 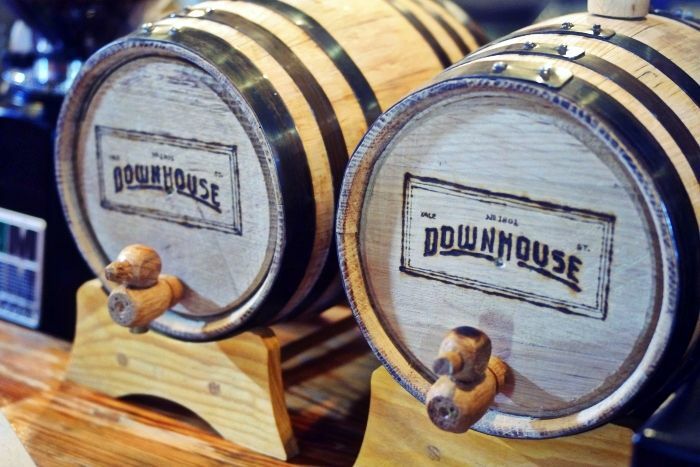 I can't wait to check out the Down House. Looks pretty sweet. Um...yum! You have just rekindled my waffle obsession. wow,, drooling so badly right now! 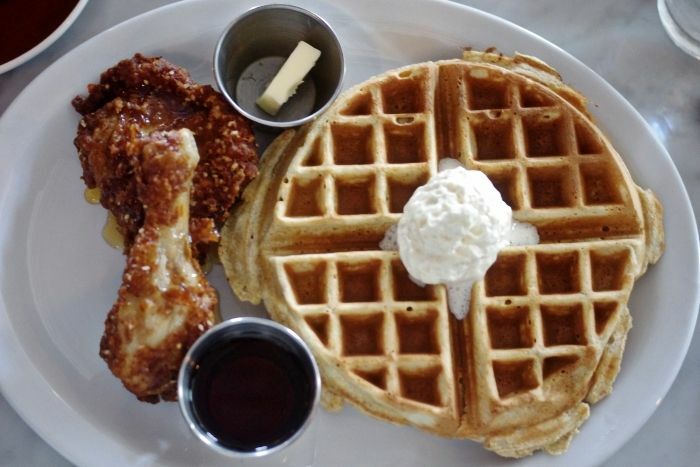 I have yet to try fried chicken and waffles, but this makes me want to try it! !